Few bands need little introduction and Stiff Little Fingers are one of those few. Original 70s punks from Belfast still fronted by the iconic Jake Burns – and fave band of former England defender Stuart Pearce. Unlike many of the genre, SLF’s music combines lyrics that meld the personal and political, music that combines the energy of punk with infectious hooks, and delivery that rings of honesty and commitment. 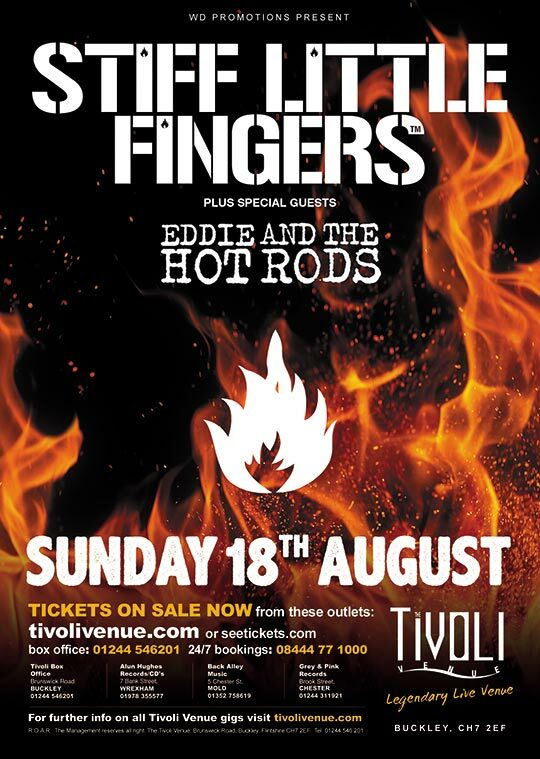 Joining them as Special Guests on this UK Tour event are another famous name from the world of punk rock – Eddie and the Hot Rods who began life in 1976, when four teenagers from Southend on Sea got together, and playing their own style of fast energetic rock’n’roll/r’n’b, they were soon signed up by the legendary Island Records and went on to have three hit albums and three Top 40 UK singles including the Top 10 hit ‘Do Anything You Wanna Do’. They have toured alongside The Ramones, Tom Petty, The Police, Squeeze and Talking Heads. SKU: SLF_190818. 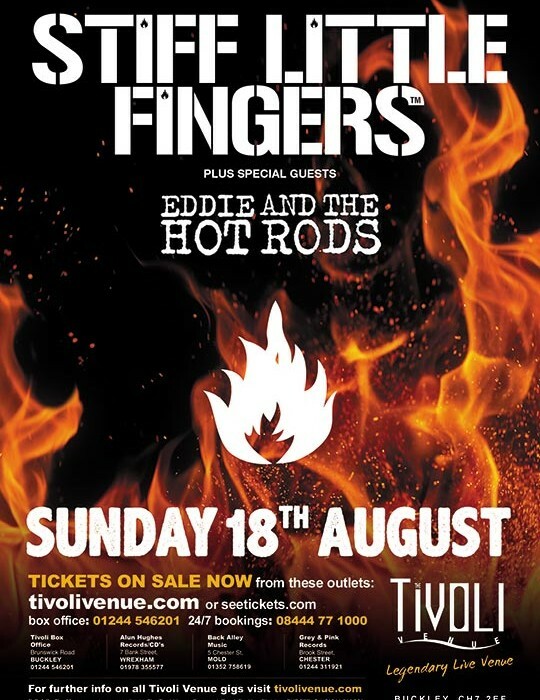 Tags: Eddie and the Hot Rods, Punk, Rock, Rock n Roll, Stiff Little Fingers.